Why is school wellness important? Research shows that good student health is strongly correlated with positive academic performance, improved attendance and better behavior. When K-12 schools actively promote, teach and model healthy behaviors to students, life-long habits are established that lead to the success of students beyond the school day and the school year. Developing healthy habits in childhood is essential for students to achieve their full academic potential and become active and engaged adult citizens. The Providence Public School District supports and fosters wellness and health programming and initiatives that serve students, staff and families. The district strives to create healthy learning environments in which good nutrition is available, students regularly engage in physical activity, physical and health education are regarded as essential to the core educational program and wellness is promoted and actively modeled throughout all schools. For more information about specific federal, state and local school wellness regulations and policies, visit the Rhode Island Healthy Schools Coalition website. What does Providence school district do to support school wellness? By USDA federal regulation, any school district participating in the National School Meals Program must develop and implement a wellness policy to help assure an equitable and healthy school environment for all students. In November of 2013, the Providence School Board adopted the current Providence School Wellness Policy. Rhode Island law requires all school districts to establish a wellness committee as a sub-committee of the full school committee. 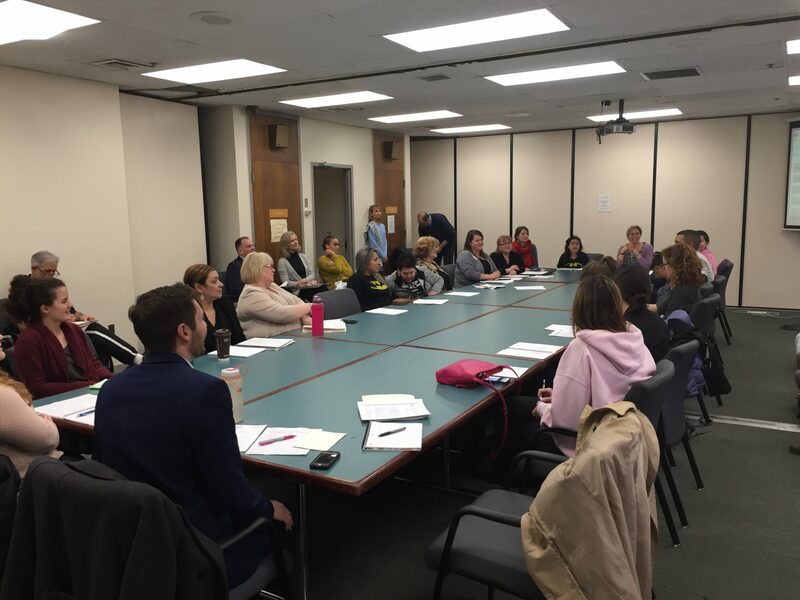 Rhode Island district wellness committees must be chaired by members of the school board and have broad representation including parents, students, administrators, teachers and community partners. 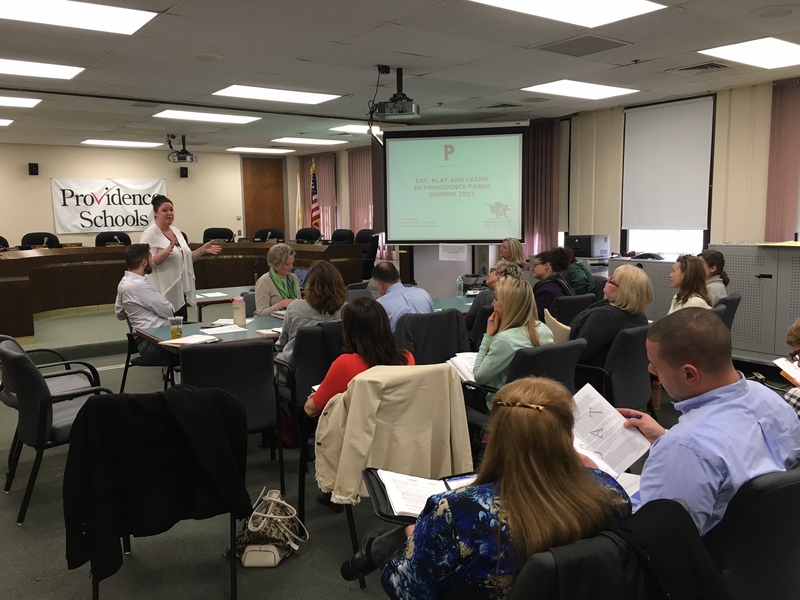 The Providence Wellness Committee is responsible for reporting on wellness policy compliance, establishing goals for wellness programs and making recommendations to the superintendent and the School Board regarding wellness curriculums, policy revisions and best practices in schools. The PPSD Wellness Committee, chaired by School Board Member Bobby Gondola, meets regularly and welcomes guests, questions or comments. Please contact the subcommittee chairs if you would like more information on upcoming meetings or ways to get involved. What role do families play in supporting school wellness? Families are essential partners in building a culture of school wellness. Better student health leads to better grades, better behavior and less missed school time. Families can help schools teach students about better health by participating in a Menu Advisory Group, by attending or joining the district Wellness Committee, by making sure that all food and beverages that are brought to school are consistent with lessons students are being taught in Health class and by helping schools find healthier fundraising opportunities including physical activity fundraisers. How can we encourage healthier eating in school cafeterias? All Providence schools serve a variety of fresh fruits and vegetables every day, some of them locally grown in Rhode Island. All adults need to encourage students to visit the salad bars and to choose a variety of fruits and vegetables at every meal. Schools that incorporate gardens, farm field trips and cooking lessons into their curriculum and their after school programs help teach students about where food comes from and allows students to take ownership of their food choices. Taste tests, chef presentations, student and staff recipe development and adult healthy behavior role modeling can all contribute to better nutrition for students. Teachers, parents and administrators should make it a habit to eat a school meal with students at least once a week in order to help promote healthy choices and provide feedback to cafeteria staff about menus, atmosphere and food choices. Don’t be afraid to speak up – there are many people that know healthy eating is essential for students and schools need adults to be positive role models. For every 3 Americans born after 2000, 1 in 3 will develop Type 2 Diabetes in their lifetime. This is not the type of diabetes that you are born with, it is the one that is diet-influenced. This is an alarming public health crisis for our youth and one that every adult needs to help address. Students in Providence schools sometimes eat 2-3 meals a day in school, well over half of their caloric intake for the day. Enhancing the food palettes of students and exposing them to a wide variety of healthy foods is part of everyone’s role as educators and every Providence cafeteria needs more engaged adults contributing towards healthier outcomes for our students. What do I need to know about the PPSD Wellness Policy? The following is a summary of the PPSD Wellness Policy, outlining the highlights that are most relevant to school staff, principals and families. Principals are responsible for ensuring that all building staff understand and comply with all provisions of the district Wellness policy. For complete language and citations, please refer to the full Wellness Policy. Keep at least one hard copy of the PPSD Wellness Policy in the Main Office for reference and share link to Policy with families, staff, students and community partners. Communicate to students and families about the Wellness Policy and about the role of the district Wellness Committee. Ensure that each school has at least one representative that serves as a member of the district Wellness Committee or is responsible for communicating about Committee meetings, discussions and notes to the rest of the building. K-12 health curriculum will be skills-based and directly linked to the school environment. Nutrition messages and healthy food promotion in cafeterias, during fundraising events, at after-school programs and during classroom celebrations will be consistent with lessons learned in health class. Staff is encouraged to model healthy behavior and the district will offer opportunities to support staff wellness. Nutrition education will be provided to families, including information on healthy snacks and drinks that are brought into school. All school meals (breakfast, lunch, afterschool snacks and suppers) will meet both the federal USDA requirements and the RI Nutritional Requirements. Free, fresh drinking water will be provided during meal times in the food service areas of all schools. School-based marketing and advertising will be consistent with the federal, state and district regulations around food served or provided in schools. Schools are encouraged to offer local foods in meals and the district food service provider will source 15% of all foods from RI food producers. All RI schools are required by state law to have 100 minutes of PE and Health class a week (average 20 minutes a day). All physical activity, including physical education class and recess, may not be withheld as punishment. Per RI state law, elementary schools will provide at least 20 minutes of recess each day. Schools are encouraged to promote classroom physical activity breaks, before and after school physical activity opportunities and walking and biking to school. All foods and beverages sold or served in the school building, during the school day must meet the Smart Snacks in School rule and the RI Nutritional Requirements (RINR) – this includes vending machines, school stores and in-school fundraising. If a food or beverage can’t be sold in school, marketing and advertising of that product is not permitted in school. No food or beverages (even those meeting the standards) may be sold during school meal service. The use of food or candy as a reward or incentive for student achievement or desirable behavior is prohibited.